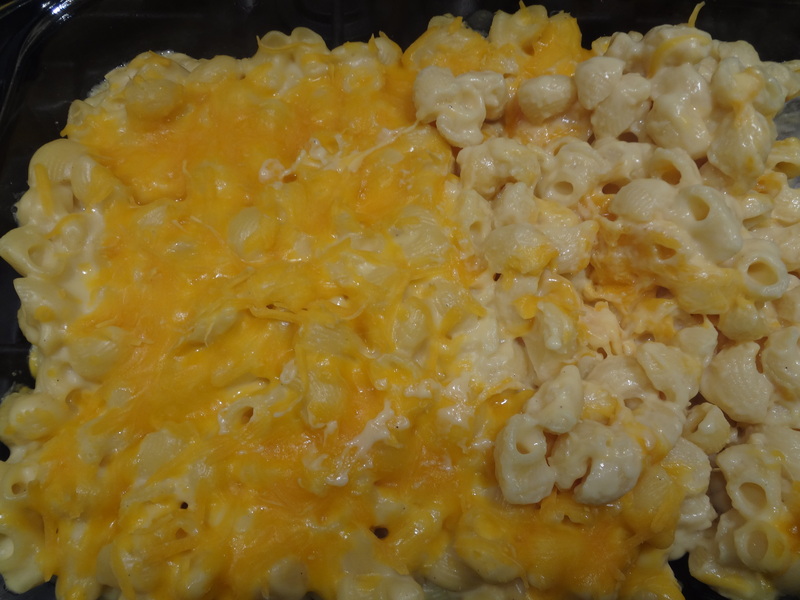 I’m not usually a huge fan of homemade mac n cheese…only because a lot of the ones I’ve had are pretty bland and I like a lot of seasoning and flavor in my cooking. 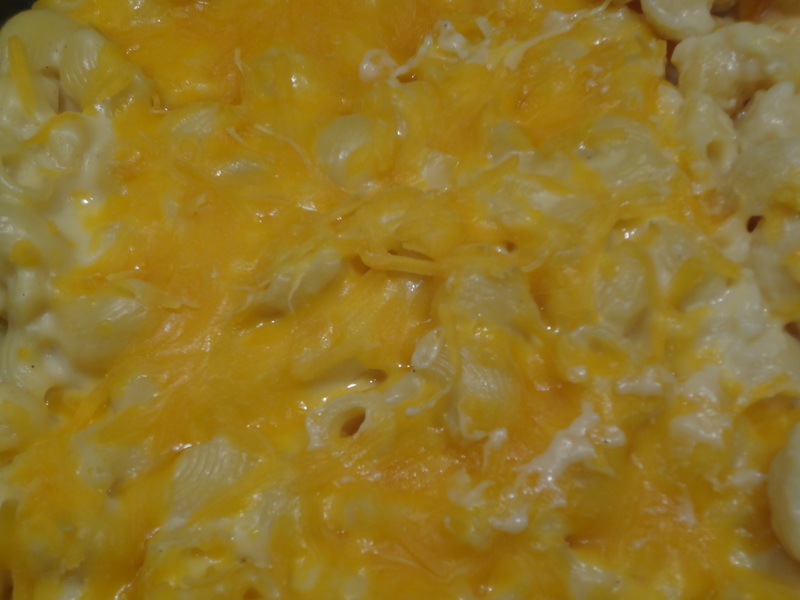 Normally I’d just make a box of KRAFT or Aunt Annies and call it….well..mac n cheese! I have made it before myself and again….I didn’t love it. So last night I decided to give it another shot and decided to try things a little differently…….kinda winged it and it turned out pretty good! Olivia who has told me multiple times “I HATE MAC N CHEESE” (yup even boxed…..whose kid is she???) also told me last night, “I’m not eating it!” Wellllllll guess who ate a huge serving of it? It was actually Ava (who normally does like it) that didn’t eat it…she liked it, didn’t love it. I found a recipe on pinterest that said to use sour cream in the mac n cheese to make it creamier, but I didn’t follow the recipe, I made my own recipe and then added sour cream to it. Couldn’t hurt, right? It was great!!! Cook pasta al dente according to box. In a large pot on the stove, melt butter. Slowly add flour and stir continuously to make a roux. Add milk slowly, until you get a good consistency — You don’t want it too thick or too runny. Remove from heat and stir in 2 1/2 cups cheese until melted. Add sour cream until incorporated. Add pasta and mix well, until it’s coated really well in sauce. Pour into a buttered 9×13 baking dish. Top with 1 C cheese. Cook for about 10-15 minutes until cheese on top is melted. I wanted you to see the melted cheese and the creaminess of this mac n cheese!